Hundreds of pharmacists from community pharmacies, hospital practice and other arms of the profession turned up at the Bayelsa State’s first ever pharmaceutical fair. 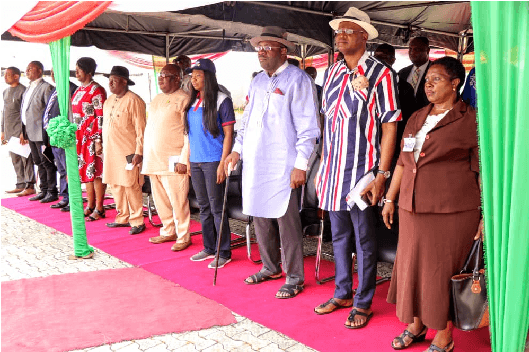 The two-day event which was officially flagged off by the Bayelsa State governor, Seriake Dickson, also witnessed a remarkable turnout of nurses, doctors and patent medicine dealers. 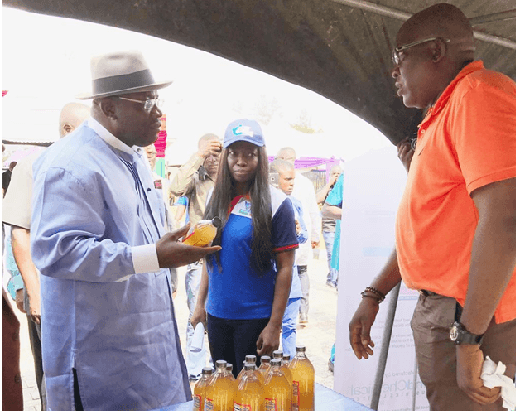 L-R: Bayelsa State Governor, Seriake Dickson making enquiry about a product from Mr Samuel Ayeni, managing director, Seaduck Limited while Pharm. Tamaraotare Johnson, managing director, Bayelsa State Drug Distribution Company (BSDDC) looks on. Speaking at the occasion, Dickson told newsmen that he was quite impressed with the turnout of people and the level of organization at the pharmaceutical fair. “With what I have seen so far, I can say the days of fake drugs in Bayelsa are clearly over. I have also directed that all public healthcare facility in the State should make their drugs procurement from nowhere else but this centre. 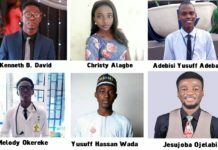 “And from the ongoing engagement between the health team and our private healthcare providers, in no time all drugs in Bayelsa will have an identifiable source,” he reassured. His view was equally shared by Prof. Ebitimitula Etebu, State commissioner for health, who believed strongly that continual hosting of such pharma exhibition would ensure people have access to good, quality and affordable drugs. “This is a very good innovation. I also think this is the place where one can be sure that all drugs one is getting are NAFDAC-certified,” he noted. In her opening address, Pharm. Tamaraotare Johnson, managing director, Bayelsa State Drug Distribution Company (BSDDC) disclosed that the 2018 Pharmaceutical Expo was the first ever to be held by any distribution centre, drug revolving fund centre or central medical store in the country. 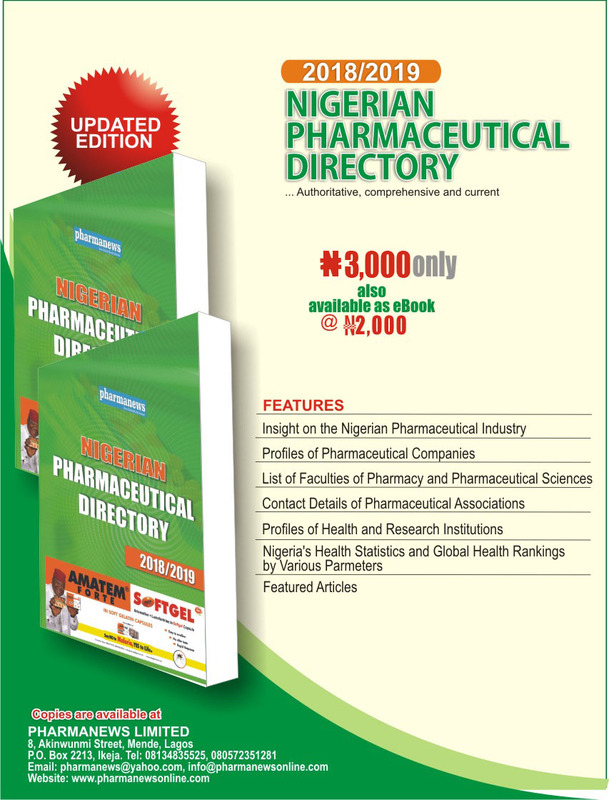 “What we did basically was to provide a platform for pharmaceutical companies to interact with our public healthcare facilities and private healthcare providers. 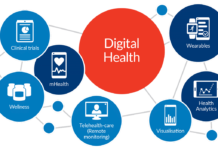 “The essence was to help the healthcare facilities to understand new market trends and key into it. Inviting pharma companies to showcase their products is also a means to curb the influx of fake and unwholesome medicines into the State,” she stressed. According to Pharm. Felix Adomokeme, head of marketing, Bayelsa State Drug Distribution Company, who also doubled as chairman, local organising committee for the fair, the turnout of participants at the two-day expo was quite satisfactory and has further encouraged the BSDDC to start projecting increased participation from neighboring states for the 2019 edition. “Thus we believe that subsequent years will require a bigger venue with improved and increased collaborations and partnerships. Definitely, it will get bigger and better,” he opined. In a related development, Dr (Mrs) Bio Joseph, chairman, Pharmaceutical Society of Nigeria (PSN), Bayelsa state chapter trumped up support for the drug expo saying it was a welcome development. “We know that there are illegal markets where drugs are being sold. Those environments are not conducive enough for drugs to be stored. We are looking forward to a time when those markets shall be closed,” she said. 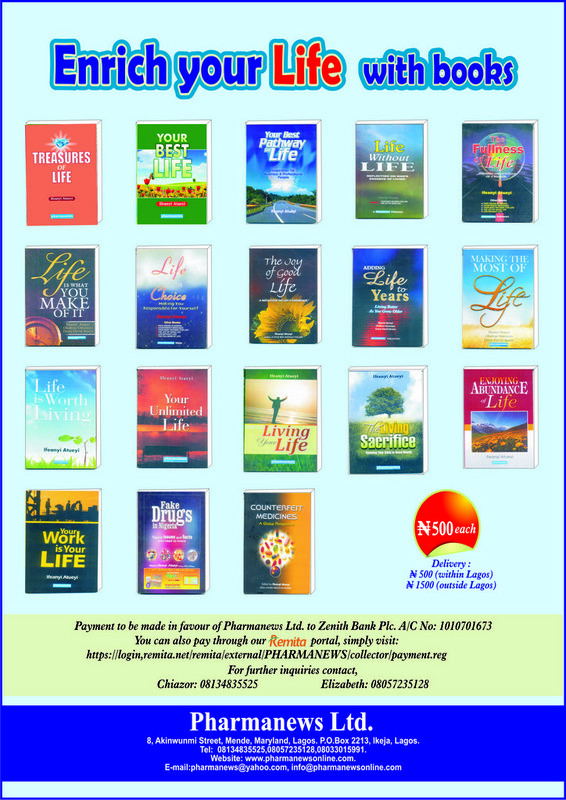 Some of the top pharma exhibitors on display were Philips Pharmaceuticals, Tamar & Pharez, WWCVL, Tricare, Clarion, Pharmacyplus, New Heights, Bond, Elmarine, Solid Accord, Biofem, Phamatex, SKG, Emzor, Marcson, Reals, Generix Global, Pemason, Shalina Healthcare, Aquatix, Seaduck, and GSK. Others were Reckitt, Codix, Agary, Assenex, Elbe, Tah Pharma, Grace Drugs, Aphantee, SKT, Avropharma, Almond Ethicals, Getz, Geneith, Miraflash, Orange Drugs, DKT, Geneith and Servier.